Free wrote: There has never been a Dragonfly in use to tow hang gliders that was an ultrallight. Please pardon me. I must therefore assume that the Dragonfly was beyond the FAA weight limits of a legitimate ultralight. Would I be correct? Personally I've never towed behind a Dragonfly. The closest I've gotten was the Cozmose powered hang glider. I also did a lot of ATOL truck towing. No ultralight involved there either. wingspan33 wrote: I must therefore assume that the Dragonfly was beyond the FAA weight limits of a legitimate ultralight. Would I be correct? You would be correct and it isn't a hard concept to understand but self appointed, Hang 2, flight park (flying club) manager Blindrodie couldn't quite get the picture even though I drew him a big ol' picture. All on his own, Jim Gaar called the FAA in Wichita Kansas and got an appointment to prove me wrong. They kept him there all day bringing in one and then another FAA official, incredulous obviously, at how ignorant u$hga people really were. The next day or so Matt Tabor got a surprise visit from the FAA and they shut him down and then everybody was on notice. Maybe Tim Herr put out a statement? I don't know but from then on it had to be a registered plane and a licensed pilot flying it to be legal. I don't think AAS LLC ever got legal before they crashed the plane along with stealing my investment and funding ownership of the plane. Jim Gaar started out as a fraud Regional Director and ended as a fraud flight park 'owner'. Little did I know that our prank conspiracy to elect a fake Regional Director would actually birth a Rosemary's Baby. Posted from a public library. No internet at home. One hand tied behind my back. Let the responses fly. You all have the upper hand. I won't be back until tomorrow, Lord willing. I'm beginning to see the bigger picture. What you did is start the dominoes falling and then someone pointed the finger at you as "causing" the problem. A problem that got too big to be good (for the u$hPa and aerotow [+ tandem] operators). You're a very bad guy Warren! Obviously Dragonfly operators should have adhered to FAA reg.s and had legal pilots flying their aerotow planes. I'm not sure about FAA rules, but, as they say rules are rules. Violate them and you pay the penalty. Oddly enough I think that Rochester Area Flyers (RAF) bought a Dragonfly to do areotowing. They spent just about all the money in their treasury doing so. Last I heard it was sitting idol (in a hanger that has to be paid for) because they don't have a qualified pilot. But the last I heard was from a couple years ago. So maybe they've got someone by now. Heck, who needs mountain/hill launches if you have a tow plane. Right? Where in your timeline would this appear? 14 CFR Parts 1, 21, et al. Any other pertinent dates or time periods you can remember? Heck, who needs a glider if you have an engine? wingspan33 wrote: I'm beginning to see the bigger picture. What you did is start the dominoes falling and then someone pointed the finger at you as "causing" the problem. A problem that got too big to be good (for the u$hPa and aerotow [+ tandem] operators). No, I didn't start anything bad for u$hPa or aerotow. I was quite willing to do what everybody else had been doing for years. Tow illegally like everybody else. The problem was with the Gaar family/lawyer/crime syndicate. I don't have time to post the reasons why Jim Gaar was improperly 'running' the flying club I was involved in, but it was Gaar that decided no towing or flying the tug until the filthy corporation had hull insurance on the Dragonfly. I told him that because we were going to be towing illegally, that insurance would never pay if the plane crashed anyway. He didn't get it. It was also about this time that I lobbied for a scheduled board election to elect a General Manager that wasn't such an idiot. The Partners failed to do so and Hang 2, General Manager Jim Gaar, proceeding without request, consultation or notice, made the infamous trip to Wichita to "work closely with the FAA" and got the entire Nation of tow parks, grounded. Evidently the FAA wasn't on to this before. At some point around this time frame Quest Air took the head of FAA, Sue Gardener, for a joy ride behind an illegal tug. She loved it. It was in the u$hga magazine. The towing shut down was all on Blindrodie. His continued official story is that he has big shot credibility because he once worked closely with the FAA. OMG. Kansas City has to be the worst place in the country to hang glide. The closest real hg sites are 6 and 11 hrs away. My thoughts were that for Kansas City, towing was the only thing to spur growth. Rob Kells called a tug in a trailer, a "flight park in a box". But it takes more than a plane and a rope to make a flight park. It's certainly not a good plan to give the reigns of 'management' to a Hang 2 son of a lawyer. A dozen years later Jim Gaar is still not qualified for any operating functions of a flight park. He literally ran the flying club into the ground, ending with a broken, belly up tug. I assume it looked a lot like the tug pictured in the first post here. Forgive me for posting the wrong picture. I believe Jim Gaar has an obligation to come clean with an accounting of the facts surrounding the failure of the flight park/flying club. I also believe that the 'Corporation' acted unethically in "removing" me from my property, the Dragonfly in question. I'm calling him a liar and a thief. I don't believe he has the fortitude to come here and defend himself because he can't. I think he is a coward because that is how people like him roll. Of Len Smith and Doug Dubois, I had more faith.. But it turned out I was mistaken. They could still make amends if they only had the integrity. It's on them. I'm not writing to question (or endorse) your earlier comments, but it might be more helpful for everyone to see what happened in the context of time. James Blindrodie Gaar, meets FAA reps in Wichita Kansas, May [correction: March] 14, 2003 and spills the beans that the USHGA has been illegally towing hang gliders from day one. Lookout Mountain gets shut down by the FAA, April 16, 2003. The FAA has grounded ultralight planes at Dade's hang gliding park. Investigators from the Federal Aviation Administration's flight safety office in Atlanta staked out Lookout Mountain Flight Park during the weekend and ordered the ultralight towing operation to shut down. "We received information that the operation up there was not in compliance, or not operating according to the exemption given to the U.S. Hang Gliding Association," said Kathleen Bergen, the public affairs manager for the FAA's office in Atlanta. "We sent an inspector up there to conduct surveillance, confirm that, and then we asked them to stop the operation." When contacted late Monday afternoon Bergen did not have specific information about what rules were violated or what the inspectors cited as problems at the hang gliding park. A spokesman for Lookout Mountain Flight Park was unavailable Monday and no calls for comment were returned. The ultralight planes are used at the flight park to pull hang gliders in training from the ground 2,000 feet into the air. The ultralights, which come in various configurations and seat up to two people, have been the main area of complaint by neighbors living near a landing zone north of Trenton. The engines on the crafts are noisy and upset a group residents living near the landing strip, though the break in the noise Sunday was welcomed by some. "This is the first beautiful, peaceful weekend we've had in 10 or 12 years, and that is from all of my neighbors," said Rick Barnard, who lives on Creek Road and has been one of the most vocal critics of the operation. The pilots operating the crafts are certified by the U.S. Hang Gliding Association, according to president Bill Bolofky, which has received an exemption from the FAA. The exemption covers hang gliders as well as ultralight planes and is based on the weight of the craft, which another hang gliding official said likely was the violation at the flight park because the planes weighed too much. Bolofky, reached at his office at Microsoft in Seattle, Wash., Monday night, said he had not received any paperwork from the FAA and could not comment on any specific violations that were said to have occurred. Federal aviation officials said Lookout Mountain Flight Park could resume operations once they complied with the U.S. Hang Gliding Association exemptions. The exemptions were granted by the FAA in 1984 with six specific limitations that must be met in order to fly the planes. According to documentation and a summary outlining the rules, the FAA granted the exemptions "to provide for safety with a minimum amount of regulation," and do not require operators to obtain a pilot license. The U.S. Hang Gliding Association was given regulation powers and duties though one official from the organization said there is currently new regulation and registration methods being considered which may do away with the exemption need. Lookout Mountain Flight Park has been operating since 1978. Matt Tabor bought the park in 1980 and began ultralight towing operations a decade later when the landing area was expanded. Last summer when an ultralight plane crashed and killed two passengers, neighbors again renewed their call to get the planes banned from the area. Dade County Commission listened to concerns and members met privately with upset residents. While the elected officials asked the county attorney to research laws related to ultralight planes the board never took any official action to regulate or make flying them illegal. USHGA Tandem Exemption #4144 is about 254lb. ultralights. It doesn't take a lawyer to understand it. Even a son-of-a-lawyer should be able tofigure it out if someone tries to point out the relevant parts. Here is the story of Blindrodie Gaar going to the FAA. later. If you want details you can call me. Kathy Person as to how we may proceed. that I stay in the office for a while in order to give me a response. forward. One officer stated that it spoke volumes for our organization. flying the DF is in this category. I wonder if Les is an ASC member. The recent situation at Lookout Mountain Flight Park regarding the suspension of aerotow operations by an FAA field inspector from Atlanta helped to focus the FAA on the need to either issue a new Towing Exemption to the USHGA or to revise the current Towing Exemption held by the USHGA to allow for the use of heavier ultralights for the purpose of aerotow launching hang gliders. The FAA understands the importance of aerotow instruction/flying for the survival and growth of our sport. The FAA indicated a desire to help the USHGA address the need to revise the Towing Exemption when USHGA representatives first met with them at the Spring BOD meeting in Ontario, California in February of 2002 to discuss Sport Pilot initiatives. The USHGA Sport Pilot Task Force, members of the Executive Committee, and Sue Gardner continued to address the need for an increased weight limit for the towing vehicles at the Fall USHGA BOD meeting held in Orlando last October. The issue of primary importance during these discussions was the (excess) weight of the ultralights that are in use at flight parks for the safer conduct of aerotow operations. The FAA understands implicitly that the Bailey Moyes Dragon Fly Ultralights currently in use at LMFP is essential to most aerotow flight park operations. They know that the Dragon Fly has recently been certificated in Germany. They know that the USHGA considers it to be a "standard" for the implementation of safer aerotowing operations. The USHGA Sport Pilot Task Force provided the FAA with documentation supporting the use of these ultralights as early as the spring of 2002. This valuable information did not fall on deaf ears. The USHGA has been working very closely with Sue Gardner for more than one year now on these matters. On Monday of this week I spoke directly with Sue Gardner, the FAA's Program Manager and Technical Expert for Sport Pilot, and I explained the situation at LMFP to her in great detail. Sue indicated to me that she intends to immediately move forward with the USHGA's request to increase the weight limit of the ultralight vehicles used to aerotow launch hang gliders. 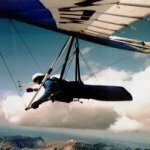 The request to increase the weight limit of the ultralights that are used to tow hang gliders was formally submitted to the FAA by me in December of last year. The request was drafted by Bill Bryden. The situation at Lookout these past two weeks has shown Sue that the USHGA needs "immediate relief" from the FAA regarding the need to increase the weight limits of these ultralights so they can be used without question to aerotow hang gliders. It is my hope that the revision to the USHGA's current Towing Exemption can be made within the next two or three weeks. The current weight limit for these aircraft is 254 pounds. Discussions are currently underway to increase the weight limit to 496 pounds plus allowances for (more) weight similar to those that are provided to ultralights operating now under the EAA, USUA, or ASC exemption for two-place training in an ultralight. The two-place towing exemption maintained by the EAA, USUA and ASC includes allowances for a parachute system, floats, etc. Bill Bryden is currently negotiating this new weight limit with the FAA on behalf of the USHGA. The USHGA knows that Sue Gardner is a friend to recreational aviators and while the USHGA recently recognized her with an exemplary service award, I would like to publicly thank her once again for understanding what the USHGA needs most from the FAA to ensure that we will be able to continue to conduct flight park operations, aerotow operations, in the safer manner to which we have become accustomed. Free wrote: James Blindrodie Gaar, meets FAA reps in Wichita Kansas, May 14, 2003 and spills the beans that the USHGA has been illegally towing hang gliders from day one. I don't see how Garr talking to the FAA in May 2003 can close down Lookout the month before in April 2003. I would also mention that this issue is VERY old. Granted that you thought the recent (?) news report (and picture) of a crashed Dragonfly might be your* aircraft. But you have since realized that it is not. And while I, and I'm sure many others here, would like to help with this long standing problem (going back to 2003? ), I don't think the US Hawks as an organization can be of much help. Of course writing up your story and posting it here accomplishes something. This is one of those situations where damage has been suffered and just about the only way to fix it is to file a civil suit against the offending party. Or, convince them to voluntarily make amends in property or $. As far as a law suit goes, hiring a lawyer costs money. And probably more $ than you'd get back in a settlement or judge/jury decision. If you could find a lawyer who thinks you could win, they could sue to include the cost of legal fees. In the end, the US Hawks can't make Blindrodie do anything. But a State or Federal Court in Wichita Kansas might. * Or were you only a part owner? PS - Was this Flight Park of yours an informal partnership, or a legal entity, such as a LLC, or some other form of small company? In that case all parties (I believe) have to be part of a legal case - as plaintiffs or defendants. Did you personally lay out all the money for the Dragonfly? These are the kinds of things a lawyer would need to know.